And, as The Rural Blog reports, the future doesn't look much brighter for the rural hospitals that are still functioning. Many are struggling to make ends meet. 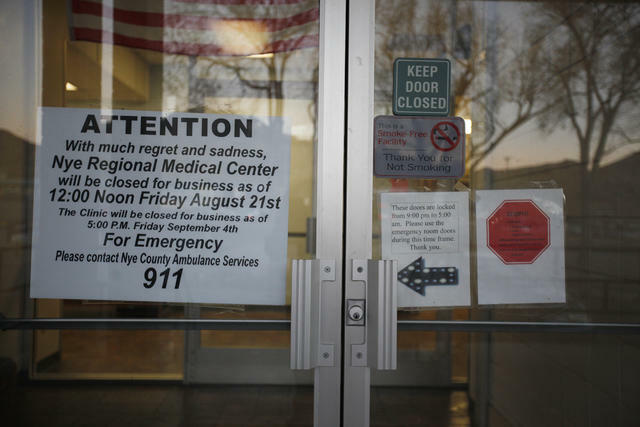 Thirteen percent of rural hospitals are currently at risk of closing. Many of the rural closings have come in states that have refused to expand Medicaid under the Affordable Care Act. A recent report in Fierce Healthcare says the situation is so dire that it “raises questions about the viability of rural health care as a whole.” This isn’t just a concern because the 62 million Americans who live in the rural U.S. need access to doctors. The closings also hurt rural economies, because these hospitals are often the largest employer in a region. The Centers for Medicare and Medicaid Services recently drew criticism for releasing ratings of almost 4,000 hospitals nationwide. The hospital industry objected that the rankings were unfair and overly simplistic. A company that delivers blood and medicine using drone technology is looking to expand its operations across the US, reports Consumerist.com. This could be great news for many Americans who live in rural and hard-to-reach areas. The Oklahoma Blood Institute says there’s a simple way that Oklahomans can help victims of trauma in their state. More than any other factor, the institute says it’s important to increase the state’s supply of O-negative blood. As KFOR reports, O-negative blood allows emergency personnel to start blood transfusions during transport to the hospital. This increases a trauma victim’s chance of survival. Middle-aged white women—especially in rural areas—continue to die at a much faster rate than many other groups. More than 80 percent of rural counties without a city of 10,000 or more people—lack psychiatrists, according to a new study. These counties are called “non-core counties,” and they are in dire need of mental health care. Non-core counties average less than four psychiatrists for every 100,000 people. Compare that with more 17 psychiatrists per 100,000 in metropolitan areas. When it comes to mental health and veterans, rural soldiers are less likely to receive help than their urban counterparts, reports The Rural Blog. In many rural areas, maintaining mental health can sometimes come down to finding a ride. As Oklahoma Watch reports, Transportation is often a barrier for rural dwellers seeking mental health or substance abuse treatment.